There is no doubt about it, the growing scarcity of resources in the world today is increasingly limiting our ability in meeting not only current, but also future demands. A smart and sustainable use of these resources – thereby minimizing their waste – is now key, especially when it comes to energy. The uptake of energy efficiency, community solutions and renewables in the global mix has an immense role to play in limiting this waste, and minimizing the global temperature rise. Accounting for over 70% of our global energy use – half of which for heating and cooling – cities have an enormous role to play in the transition to a sustainable energy future. One of the least-cost and most powerful ways to reduce this immense energy demand, is by collectivizing it through district heating or cooling networks. The UN estimates that the implementation of modern district energy systems could result in $795 billion savings through climate-resilient, and low-carbon systems to satisfy heating and cooling needs, while ensuring a climate-proof supply. Recognizing this huge potential, the United Nations launched the District Energy in Cities (DES) program to facilitate this global energy transition as the implementing mechanism for the Sustainable Energy for All (SE4ALL) initiative. SE4ALL mobilizes action from all sectors of society including governments, civil society, and business. March this year, Thermaflex was invited to make an active contribution to the strategic implementation of the DES program, as one of the 14 private companies to play an advisory role alongside global private leaders such as Danfoss, Vattenfall, Veolia, ENGIE, as well as associations such as Euroheat and Power (EHP), and the International District Energy Association (IDEA). This allows us to elevate our level of impact, and break through long-standing barriers to greater deployment of modern district energy systems in cooperation and coordination with global influencers. 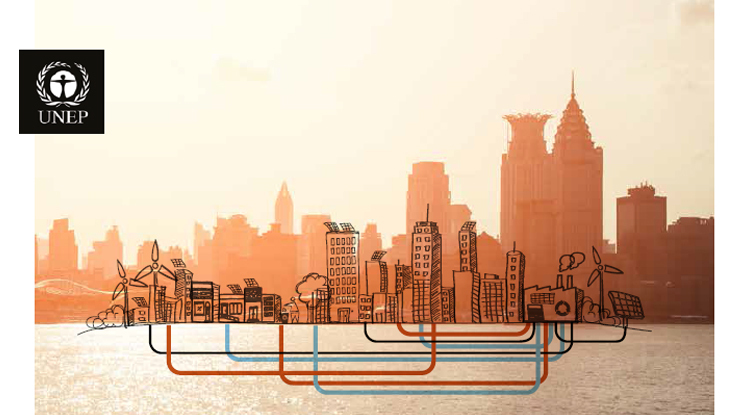 Concretely, we will raise awareness, assess district heating and cooling (DHC) potential across cities and regions, illustrate value through deep dive pilot projects, facilitate the necessary tools and training towards successful implementations, and share best practices between cities. 4 cities with pilot projects in India, China, Chile and Serbia are already under way, with 12 more cities in the pipeline for replication. Due to additional funding even more cities will be covered. We are eager to connect and realize mutual ambitions in creating a sustainable energy future for all, at minimal environmental impact, and maximum benefit for all stakeholders involved. Only by engaging cities, associations, academia, technology providers and financial institutions in a joint effort, we can build the necessary capacity, transfer know-how, and accelerate a green economy transition at full speed ahead. Want to know more? Contact Christian Engel at c.engel@thermaflex.com.